Estonian spirits makers are paving the way for tourists after the European Commission approved an application to register home-grown vodka as a protected Geographic Indicator (GI). Only vodka made with raw, native ingredients and Estonian water will be able to carry the moniker. 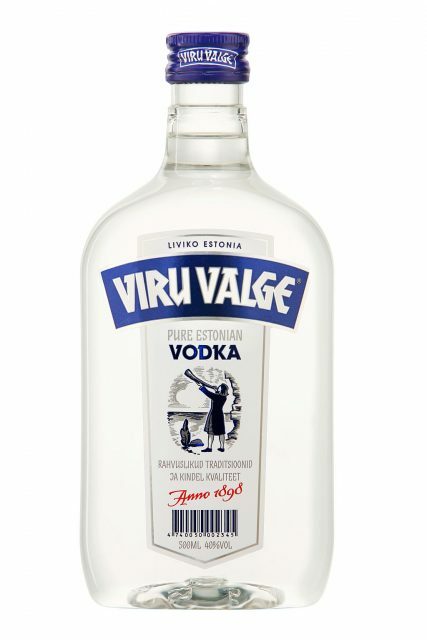 Estonian Vodka is the first national product to be awarded protected geographical indication. Estonia’s Minister for Rural Affairs, Tarmo Tamm, said that the news is a major win for the nation’s food sector, and could provide a much-needed boost to international tourism in the tiny Eastern European nation. “It demonstrates that we are able to make products that deserve recognition in all of Europe,” Tamm said in an emailed statement. From now on, vodka produced using raw materials grown in Estonia and Estonian water will have a protected status within the EU, putting it on par with Italian Prosecco and Champagne in terms of global esteem. The indication can be used exclusively on the labeling of vodka manufactured, observing the requirements set out by the Commission in a full report. Estonian Spirit OÜ, one of the country’s oldest alcohol producers, submitted an application to grant Estonian Vodka GI status more than four years ago, in partnership with Estonian spirit distribution firm Remedia AS. The Central Union of Estonian Farmers, the Estonian Farmers’ Federation and the Estonian Rye Society have all expressed their support for registering the “Estonian Vodka” geographical indication, according to Estonia’s Ministry of Rural Affairs. The geographical indicator forms part of a wider plot to draw visitors to Estonia by promoting the Eastern European nation’s historic relationship with alcohol.